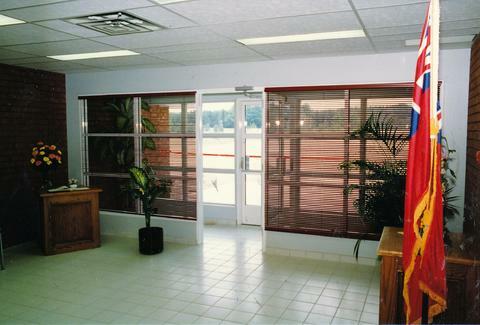 The front entrance to the new Administrative Building for the Township of West Gwillimbury on August 12, 1989. The ribbon for the ribbon cutting ceremony can be seen outside hanging across the entrance way. 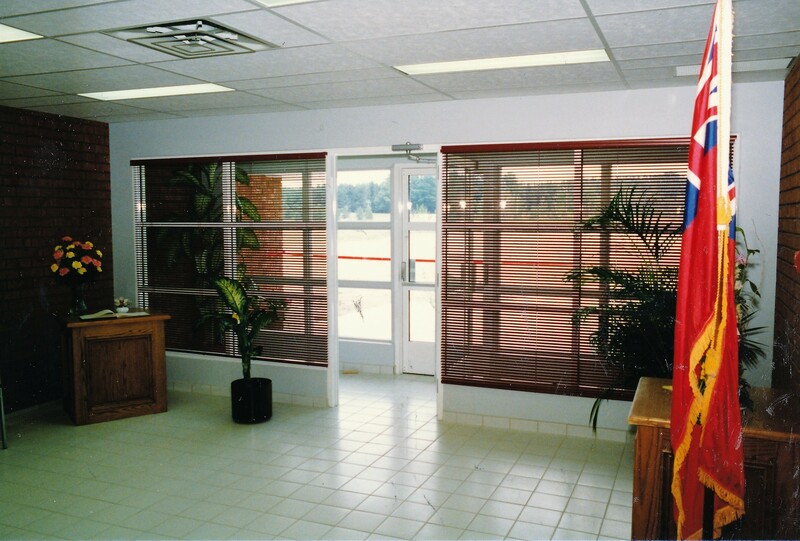 The building was designed by architect R. Myles Allison from Barrie, and replaces the offices built in 1951. The building and adjacent works garage cost $820 000.